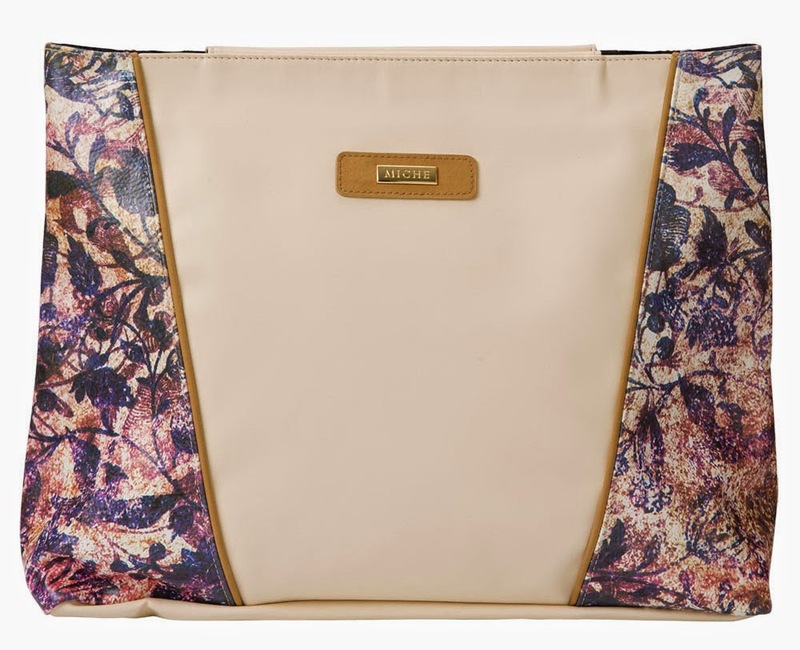 Like a breath of springtime air, the Maria for Prima MICHE bags brings new freshness to your wardrobe. The look is tied together with contrasting piping in warm camel. Gold hardware; large open back pocket.